friends | Crappy Kitchen - Good Dinners! This is a continuation of my previous post where I was trying to write a Goodbye of sorts to my son who moved to Japan for 2 years to study Japanese and the Japanese culture. I was attempting to do this a few weeks before he left but it was way too difficult a task. The excitement and joy for him was completely overshadowed by motherly angst, fears and panic. You always know when you have a child that they will leave you one day and truly if they didn’t that would be kind of like telling me I was going to live forever instead of die. We think we want to live forever, but do we? The finality of it all puts us into the circle of life orbit and I think as humans we like a beginning, a middle and an end. That’s kind of another story. If someone told me that my son would never stop being a child and would live with me until I died I might rethink having children. The beginning is having a child, the middle is raising that child, and the end is them leaving to find their own way. Of course it is not the end of the relationship, but more like a new beginning, a new cycle. This is where I am with Calder, the beginning of our new cycle. I could never think of him as not living in our house. He was part of everything every day for the past 18+ years and I couldn’t think past that. I could only imagine feelings of what it would be like with him not sitting with me in the kitchen while I cooked, or him helping or him sleeping in his bed or sitting in the car going somewhere. Imagined feelings are awful and I felt sick every time I looked at him and thought about not being able to do that. I mostly seemed to dwell on the moment myself and my daughter Íde (we were both going to Kyoto to “drop” him off) boarded the plane for home without him, and then walking into the house after getting home. I knew I was going to strip the sheets from our beds before leaving and wash them so our travel-worn bodies could sleep in perfect cotton crispness, but I couldn’t stop imagining how Calder’s bed would be stripped and then left like that. It was stupid and overly sentimental but I get like that. I get wrapped up in the feeling and all I could think about was this loss and me pining away without him. The last few weeks were the worst because both he, and his sister would either be afraid to mention anything about him leaving for fear of me busting into tears or they would talk about it on purpose just to see me busting into tears (their sick way of making me laugh at myself, and it worked sometimes). So, I decided to put off writing about Calder and his big adventure away from home, and from us, until I got back. And now here I am writing, and not a tear is being shed. I imagined all sorts of scenarios, but I never imagined what is actually happening: me being able to cope, and not just cope, me being happy, without him. I realize now that my feeling of panic and sadness was not really about him being gone, it was about him being unhappy. I can see now that when I got upset I was imagining him being far away from home feeling lonely, or scared or regretting his decision because his idea of what Japan was like in his head was completely different and disappointing. To my greatest relief, it was quite the opposite, which showed me once again that worrying about something is such a waste of time and energy. I need to remember that when my daughter leaves for God-knows-where next year! We were in Japan for 10 days and in that time Calder moved into his cool new digs with a bunch of international students like himself, started classes, and literally… disappeared. It was like a magic trick where I tapped him on the head with my wand and said: “You are going to love it here and we are going to be ok” and it happened, just like that. I cannot even explain it. My friend Kristen said it best when I came home and told her of his transformation. “He found his people”, she said. And that’s it really. He found where he wanted to be right now in his life, and immersed, body and soul. Calder has been sending me pictures of the dinners he makes. sitting in the kitchen with me all those years has paid off! How could I be sad? How could I want him back? We text, talk or video chat every day for just a little bit. We promised that we would and we said if we didn’t make it into a big deal, taking up tons of time (unless we can), it should be easy to keep up…and it has. Two years ago I knew for sure that my son, who was in High School at the time, did not want to go to college right our of school, but wanted to go to Japan and to live there and experience all the things he had been reading about since he was very young (the movie Totoro was the beginning of his obsession!). He and I began looking at how to make this happen and found a great language and culture institute with a campus in Kyoto. We had no idea how to proceed but over the course of the his last year in high school we got his application in and went through the arduous tasks of getting a visa and everything squared away. I did all this without really knowing if I could swing it financially. I have never let the lack of money stop me from at least trying to do the things that I want to do. I figure if I go ahead like everything is going to work out, at least I have the opportunity to do that thing if it miraculously does. I am a total optimist and it’s a blessing and a curse. Not everything works out but the odds of good things happening are better if I activity work on them. A couple of years ago I made something that might be corny to some but it is something that has helped me: A Vision Board. I am a big believer in visualization, not only for grandiose dreams like Calder’s but for small things too. My vision board contains just the pretty big things that I want or care about and one of those things was an image of a shrine in Japan to represent what I wanted to happen for Calder. I didn’t know anything about the shrine, or even where it was at the time I pasted it onto my board. I just knew it was something beautiful that said Japan to me. Well, this place turned out to be a few train ride stops away from where Calder lived and the day before we left him, we made our visit to the Fushimi Inari Shrine (read a tidbit about it here). I was really overcome with the place and seeing it, after looking at it everyday for two years on my little board, was like a real dream coming true. I linked Calder’s arm and walked through the first pillars with him, a physical affirmation that was the beginning of his own new life and of my new life cycle with him . Both of my kids knew this was a big sappy moment for me and they let me have it, tears and all. I will never forget it. When I came home the first thing I did was put a little ✔️ by the dog-eared picture of the shrine on my board. I will write some posts about some of what I absolutely loved later but for now it is enough to say that the time I spent there with my two kids doing something really important and exciting is something that I will treasure forever. And the feelings I felt are not the kind that will fickly fade into the recesses of my memory. I will hold onto them because it was magic. So much of this festive season was spent planning food, cooking, eating, and visiting friends and family. 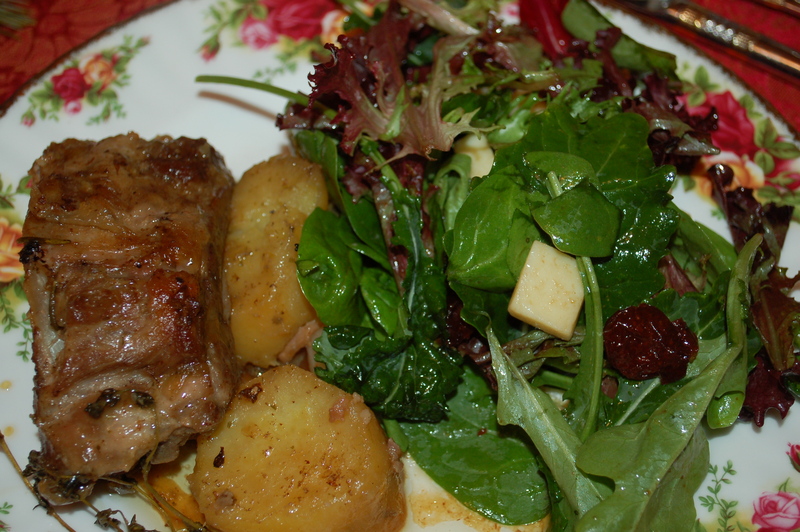 This particular evening was devised by Tom who asked if I would help by making a main course and a giant salad. I asked how many people I should keep in mind, and he said he expected around 12. I was very excited about having this get-together as some of my dearest friends would be travelling a long distance to spend christmas with us, and they were going to get to join us at Tom’s. I hummed and hawed about what to make. I wanted to cook a giant portion of something, but didn’t want it to be fussy and hard to reheat when we got there. I had lots of ingredients to choose from as I had just stocked my kitchen to the gills with every sort of food imaginable in anticipation of Christmas gluttony! 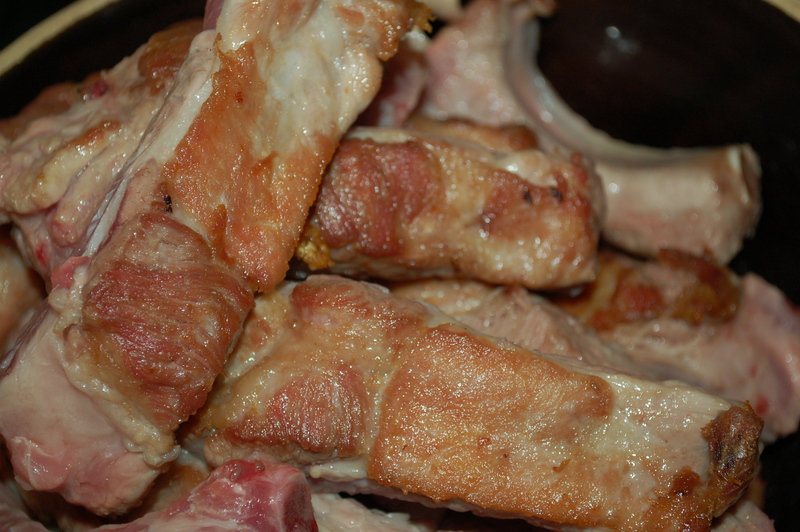 I settled on 5 lbs of baby-back ribs. I wanted to cook them in wine and herbs, but found I had neglected to buy any white wine (prefer red). I panicked a little, but, upon seeing the 1/2 bottle of the kids sparkling apple cider changed my plan. 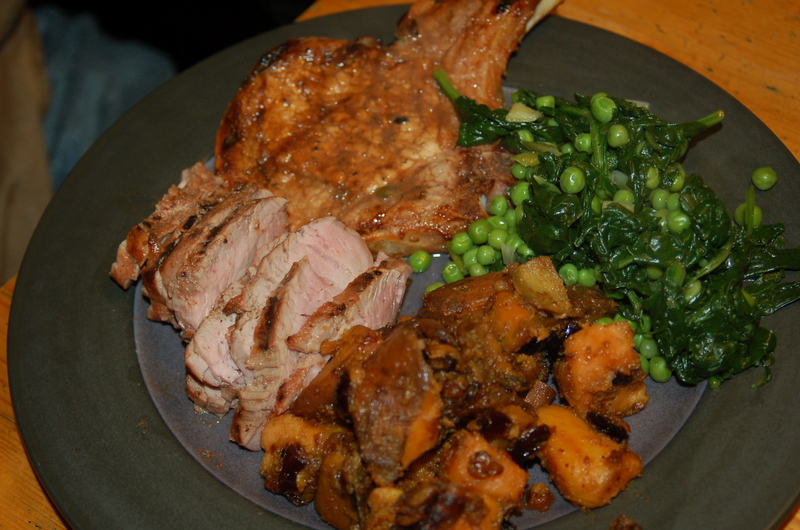 Apples and pork are traditionally a fantastic combination, so, this would do the trick. That, along with the delectable white sweet potatoes I had bought to roast for christmas dinner (oh well) would complete my vision of braised tender pork in sweet syrup-y broth. 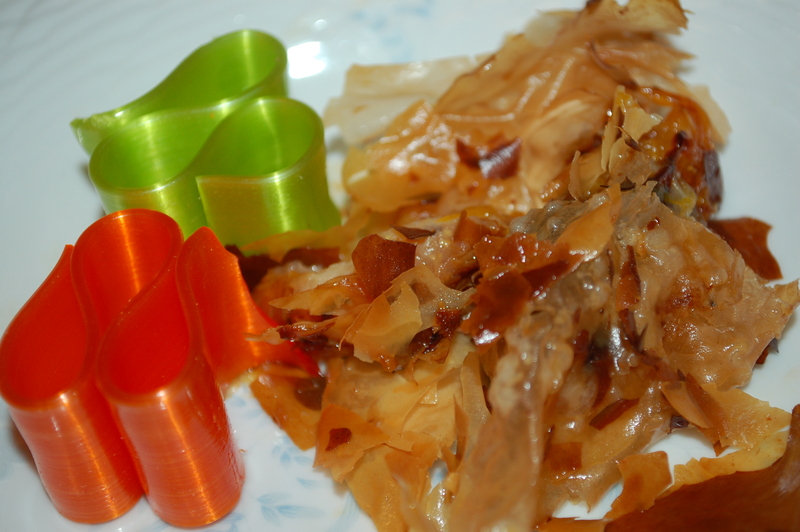 I was surprised at how this simple dish came together. 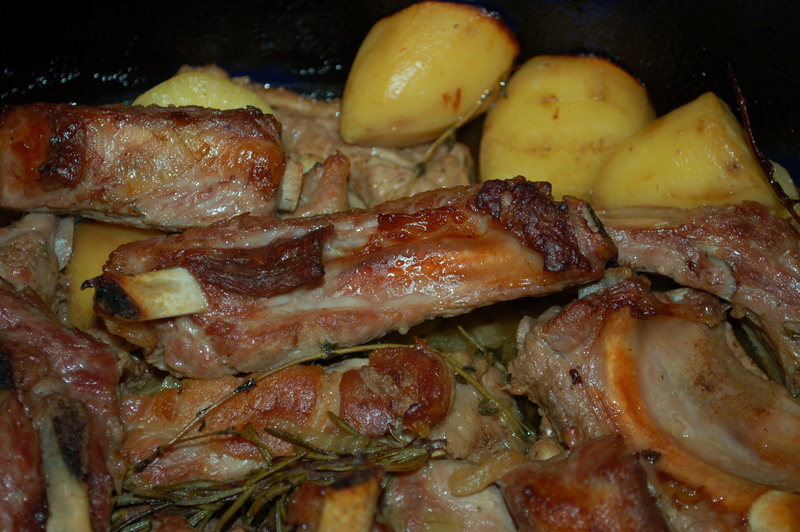 It was wonderful on every level; tender meat, herb-infused flavor, mouth-watering potatoes, and delicately sweet broth. I was also surprised to find not 12 people, but around 18 when we arrived. 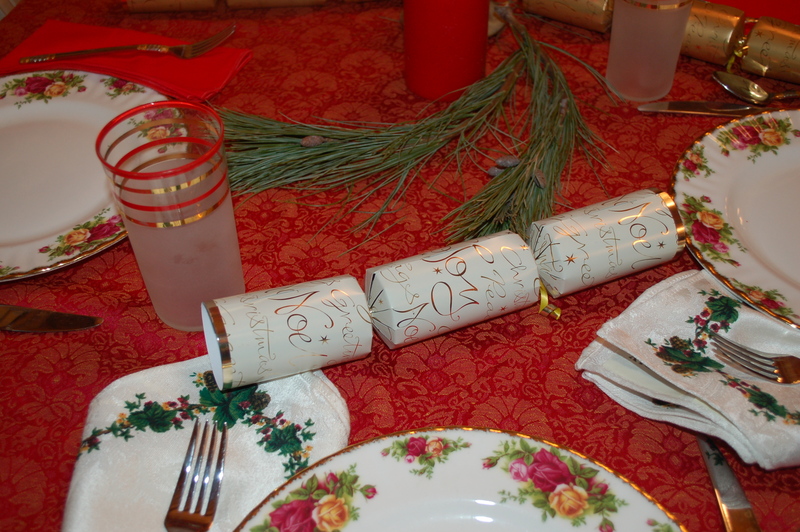 Tom apparently had gotten deep into the christmas spirit and invited a crowd, and cooked food to match! It was the funnest party I had been to in ages. My friends had arrived exhausted from their drive a little earlier, and I whooshed them up to the shower, and off we went. They were revived body and soul, and I was so happy to have been able to start off their visit with something spectacular. 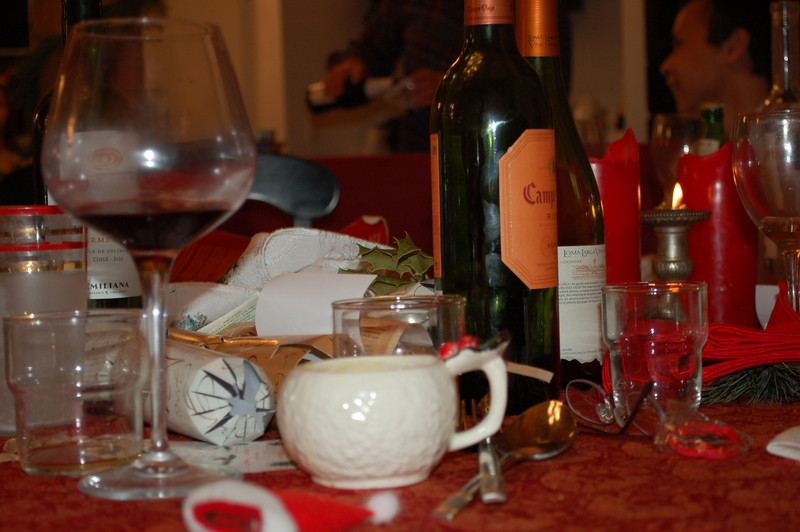 I ate all sorts of wonderful food, but the oddest thing I tried was eggnog. I have lived in this country for more years than I care to admit, but have never tried this American Christmas elixir before. Being that it was served from a bowl that looked a snowball, with cups to match, I couldn’t resist. 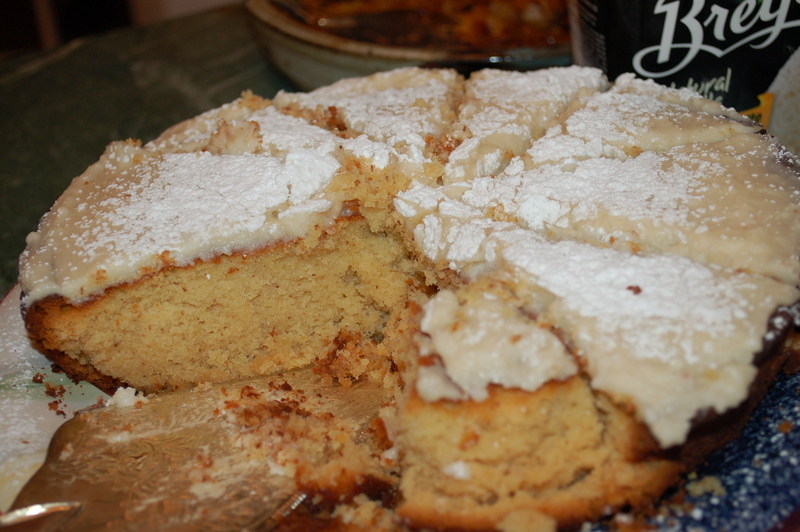 It was creamy, with overtones of nutmeg, and a strong blast of whiskey on the backend; wow! I drank 2 cups very happily after dinner, and was warned to stop if I didn’t want to feel it in the morning. The morning did start out a little hazy, but I would do it all over again in a heartbeat. 1 – Put big saute pan on high heat and add some of the oil. Sear the ribs in batches until they have browned (part of the ribs will not make contact with the pan, but don’t worry, just brown what you can). Transfer to the big casserole as you go (you will also need to add oil as needed). 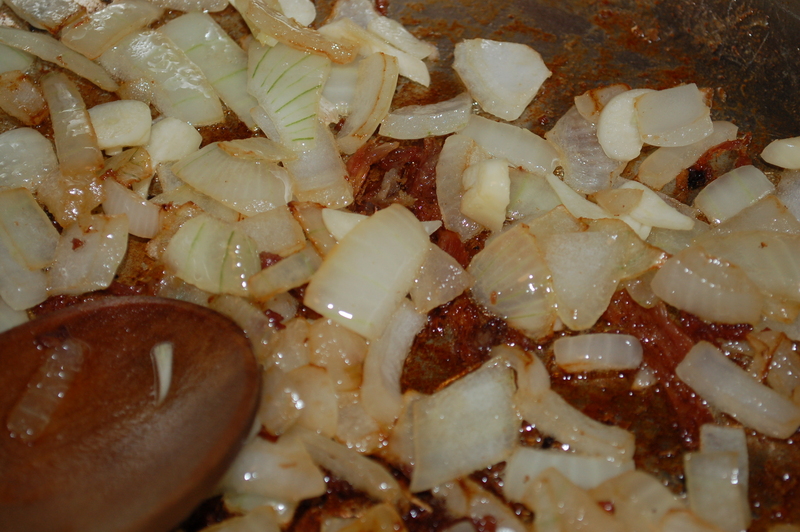 2 – Turn pan down to medium/low and add onions and garlic. Cook for about 8 minutes, stirring frequently. 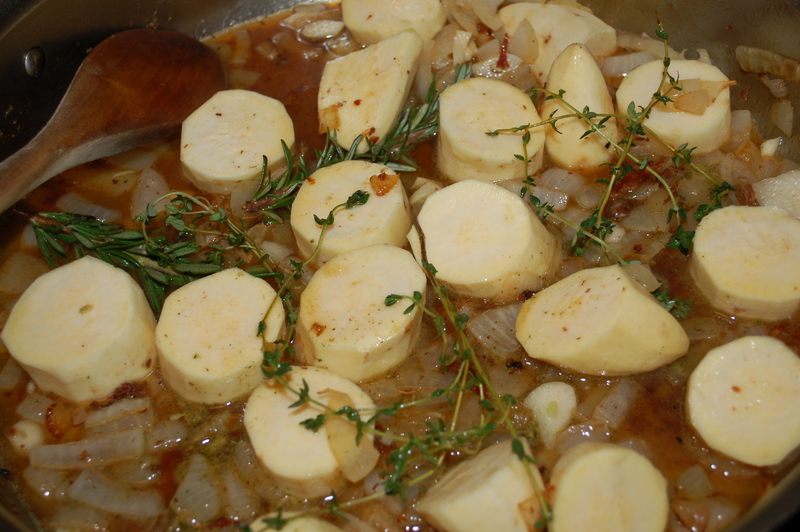 3 – Add the herbs and sliced potatoes and cook for about 2 minutes. Add the apple cider and stock (or water & bouillon cube) and turn up heat. Bring liquid to a boil and scrape as much of the brown bits stuck to the pan into the liquid as possible. . Turn off heat. cook in oven and you get this! 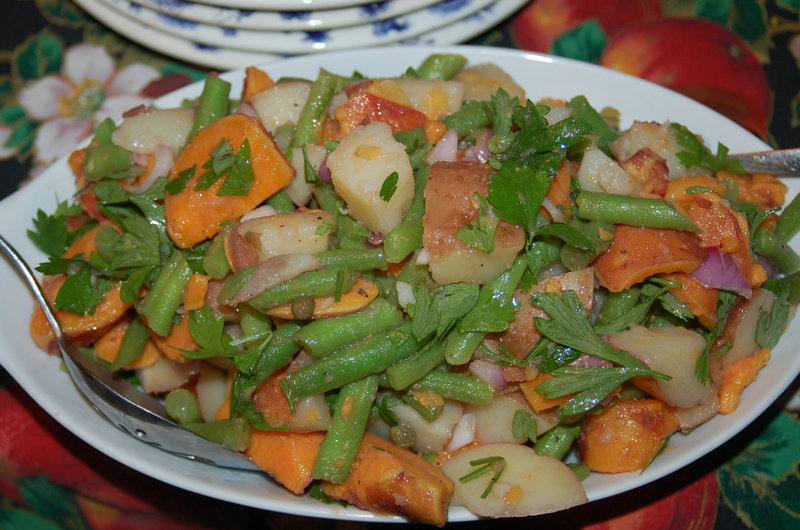 This can be served as is, or with a green salad (as below). 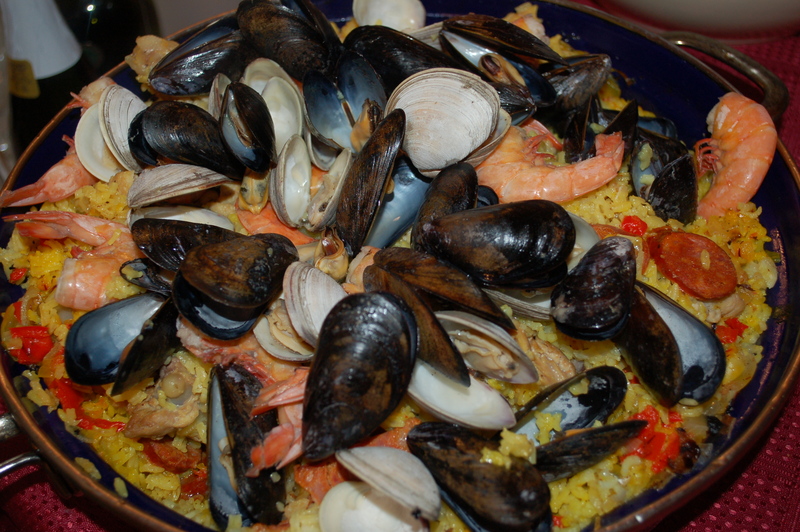 either way, this dish is absolutely fabulous. This turned out to be another memorable evening. I just love having dinner with my friend Lisa. It feels like home. We planned to have dinner, and then left it at that. 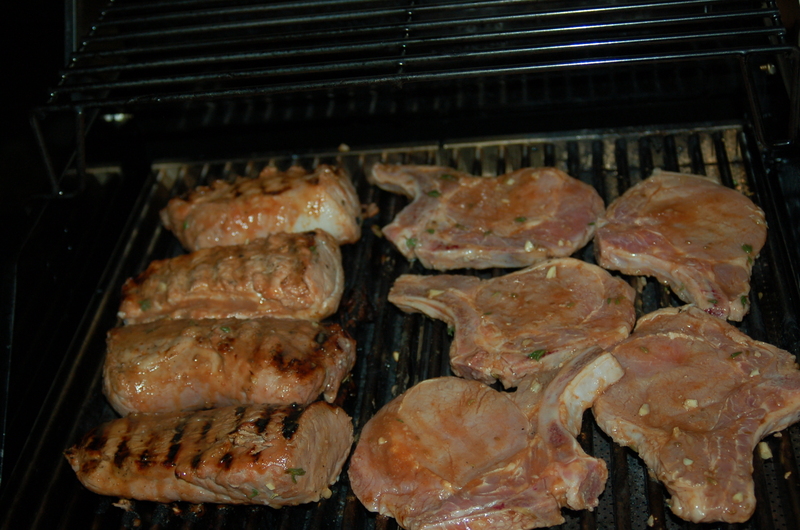 The next day I had visions of beautiful pork cooked on the grill. Scott and Lisa are die-hard “grillers” who don coat, hat and gloves in freezing weather, just for the taste of grilled food. I called Lisa about possibly firing up the grill, and she told me in delighted tones about the beautiful new grill they sprung for. Scott had been salivating over a grill he had spotted in a shop during the summer, but, being the practical man he is, waited until the end of the season sale in hopes of getting a deal. Sure enough, he got his dream grill at a bargain price! 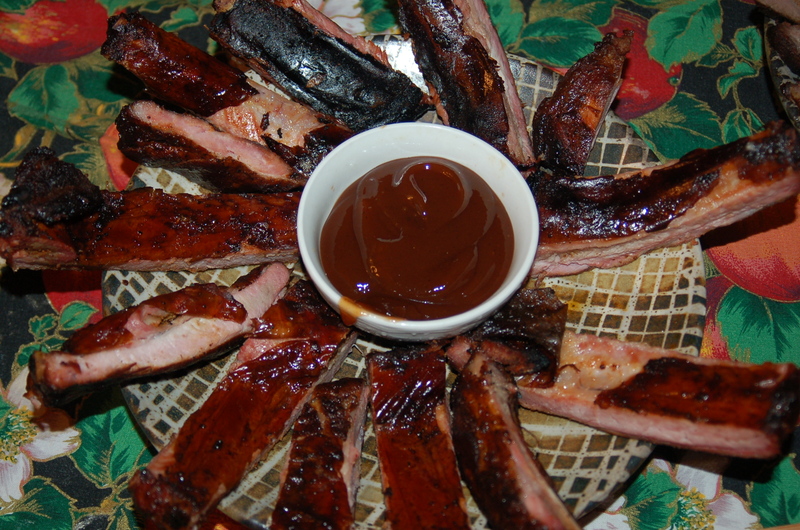 I was dying for that real barbecue flavor and so made a marinade that felt hefty and rich. 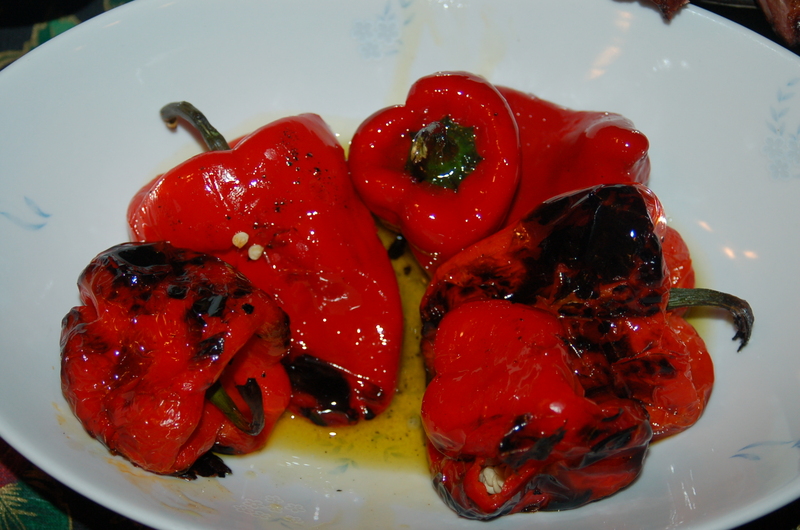 I often use balsamic vinegar to achieve a somewhat grilled kind of taste from the oven, so I started there. I read the back of a barbecue sauce bottle at the supermarket and found out that tomato sauce seem to be a necessary ingredient. I then forgot all about that until I returned home with my bag of pork. I decided to make do with ketchup, and it worked like a dream. My daughter saw me making the marinade and announced she would not eat her dinner if I used ketchup. The end of that story is of course that she ate her words along with the ketchup! When I got to Lisa’s, the smell wafting from the kitchen gave me instant hunger pangs. The source of the smell was the big skillet of luscious sweet potatoes cooking in ungodly amounts of butter on her stove-top. She was all worried that it wasn’t turning out as good as she had hoped, and I silently dismissed her ravings knowing how she is a total perfectionist in all things. I have a knack for being friends with women who make me feel disorganised and flighty, (I suppose opposites attract). This was really fun for me because I got to hang out with Lisa, and take pictures of her frenetic movements in the kitchen, while also getting to follow the completely calm and cool Scott, to document the pork, and grilling side of things. He let me order him around, telling him to turn this, and move that, without uttering a complaint or objection. I just love him for that! He ended up grilling the best pork tenderloin I had ever tasted, and being the humble guy he is, gave all the credit to his fabulous new grill. Dinner was out-of-this-world fantastic. My man Dave talked about how great the sweet potatoes were so much I wondered if I should be jealous. I loved last night, I love my friends and family so much, and I don’t care how corny it sounds to say that. 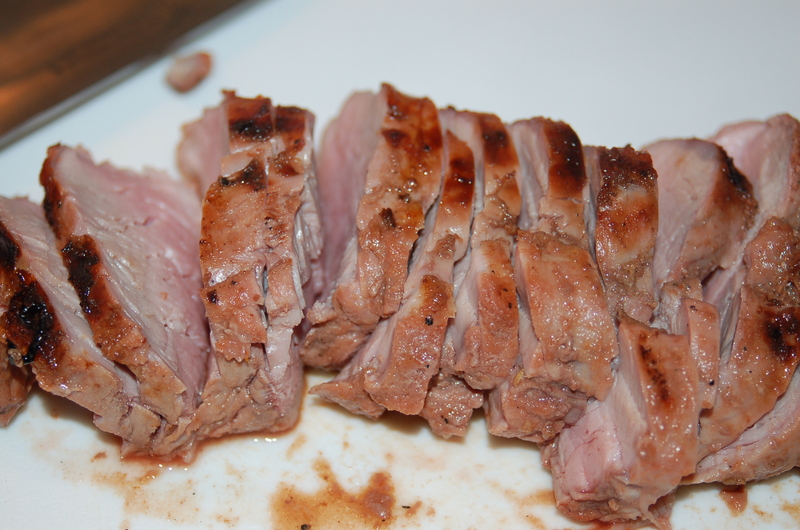 For pork & Marinade; You will need: 2 pork tenderloin (1 lb each approx), cut in half, 8 thin-cut bone-in pork chops, 3/4 cup ketchup, 1/3 cup good quality balsamic vinegar, juice of 2 oranges, leaves from 10 thyme sprigs, 5 cloves garlic, finely chopped, 2 tsp cumin seeds, 1 tbs honey, 1/2 tsp freshly ground black pepper. 1 – Prep all ingredients and whisk everything (except the meat) together in a bowl. 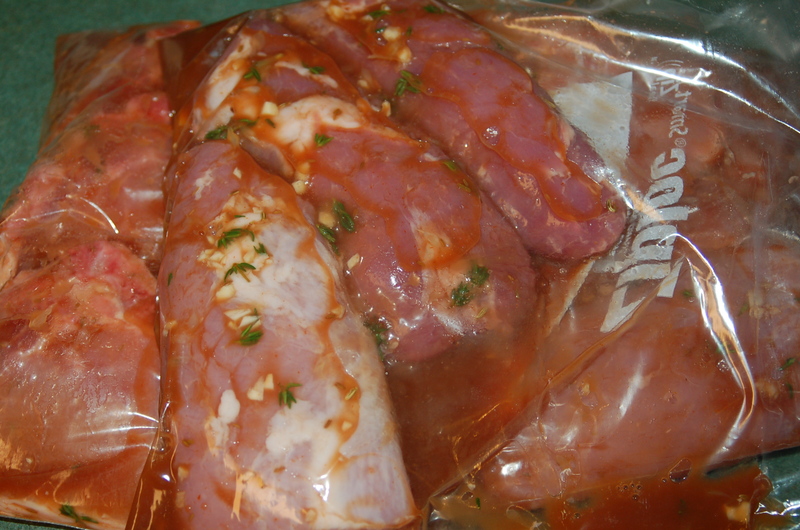 Divide the meat between 3 zip top plastic bags and pour an even amount of the marinade into each bag, and seal. I used a measuring cup for the job. Place in the fridge for no less than 3 hours, and as long as 12 hours. 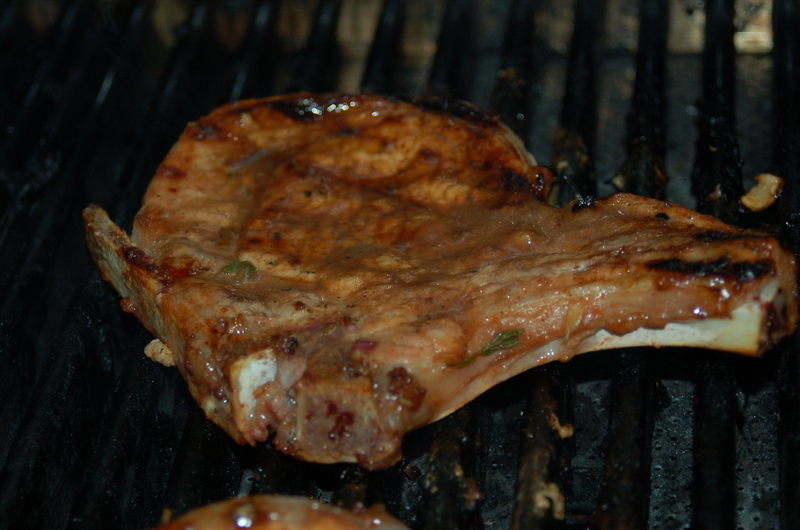 2 – When it is time to cook the meat (about a 1/2 hour before ready to serve), turn the grill to about 325* to 350*. 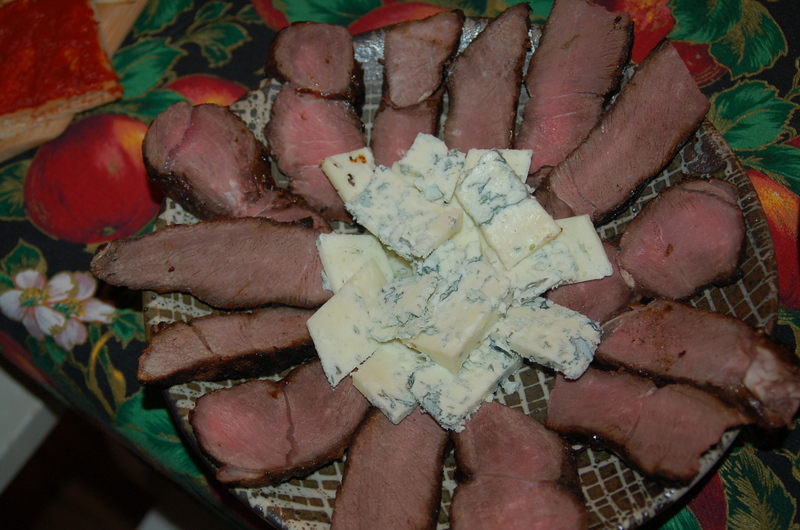 The tenderloin will cook in about 25 minutes and the thin-cut chop should be done in 12-15 minutes. You can baste with the marinade as you go. 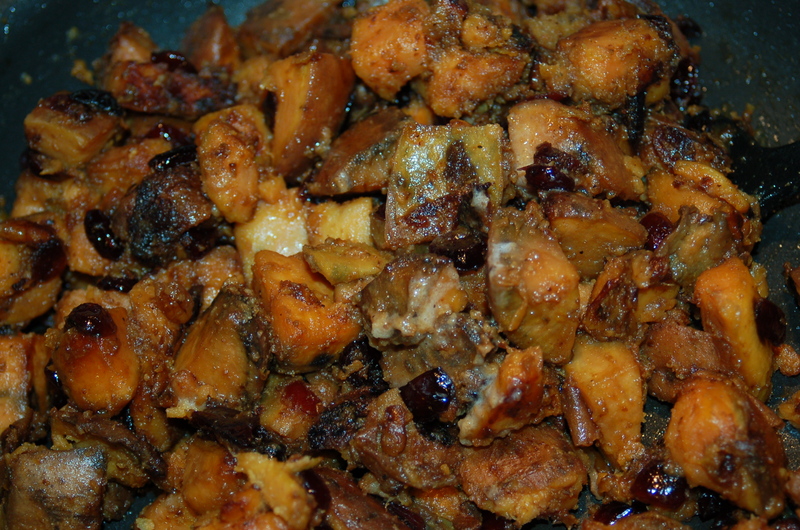 For the Sweet Potato Side-Dish; You will need: 10 large sweet potatoes, scrubbed & cut into large cubes, 1/2 cup craisins or dried cranberries, 1/4 cup chopped walnuts, 5 tbs unsalted butter, 2 tbs soft brown sugar, sea-salt & freshly ground pepper to taste. 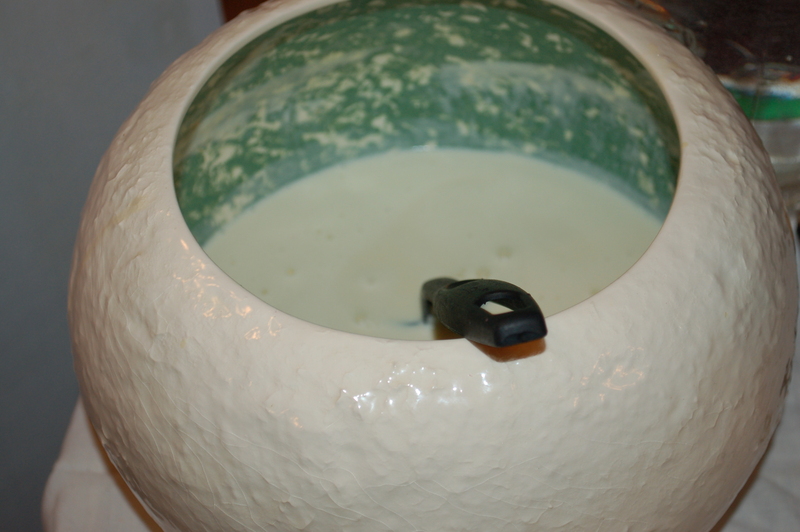 1 – Put potatoes in pot and cover with cold water. 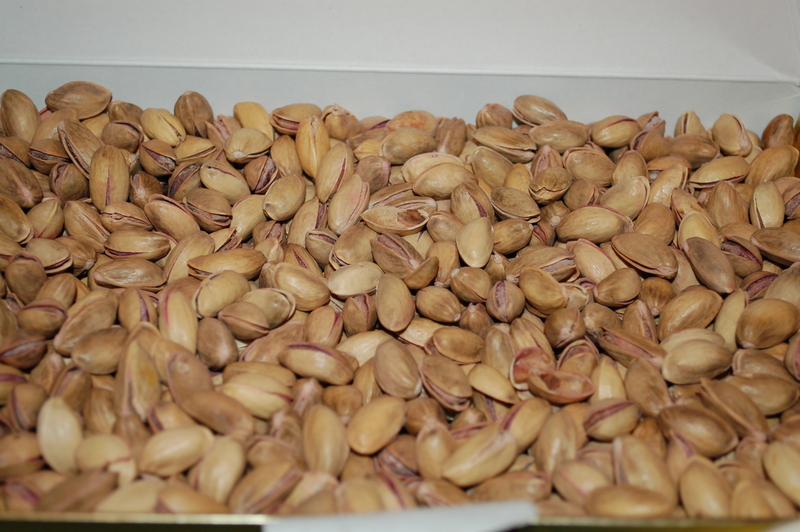 Place on high heat and boil until they are cooked through (still a little toothsome). Drain into colander. 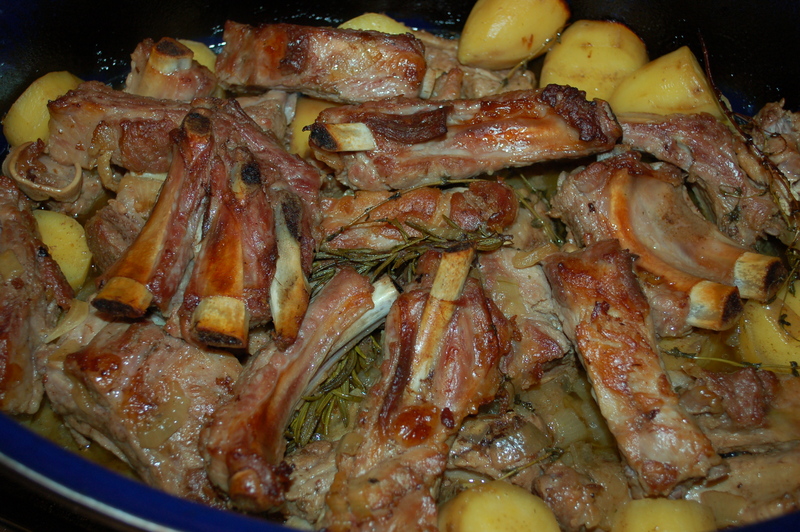 2 – Put big pan on medium heat (a pan which can be transferred to the oven), and add 3 tbs of the butter. 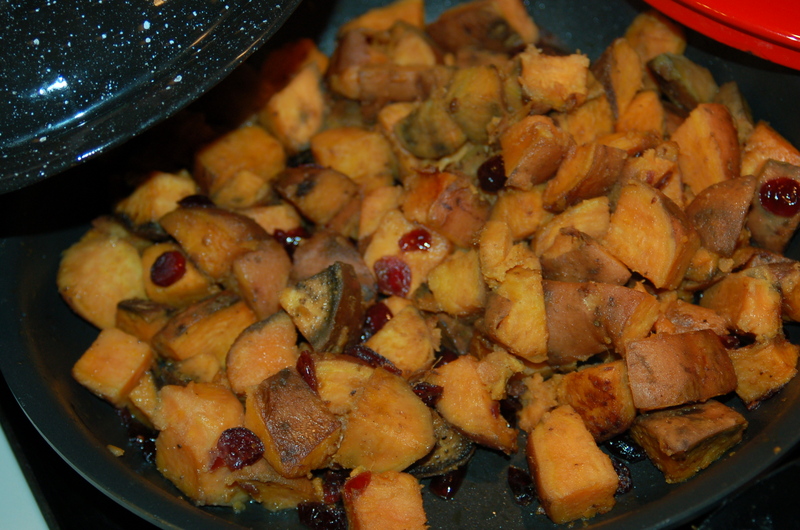 Add the craisins and walnuts and saute for 2 or 3 minutes before adding the sweet potatoes. Continue to cook on stove-top adding more butter as needed (up to 2 tbs) for about 20 minutes. 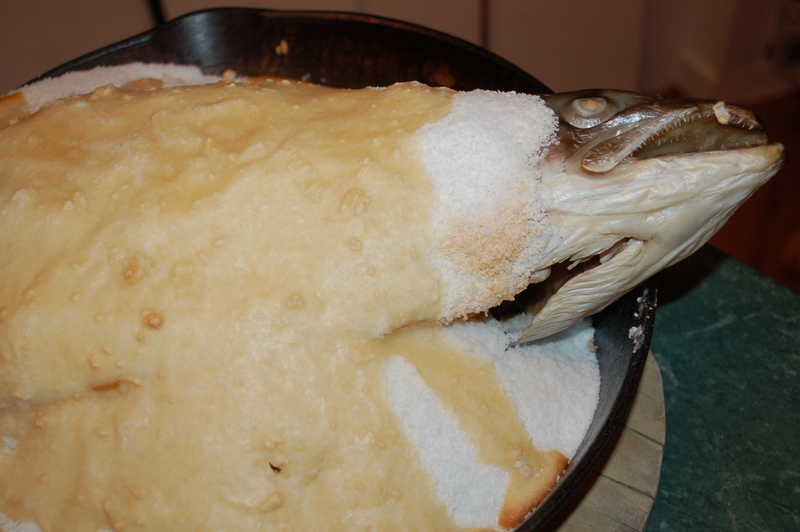 3 – Sprinkle with sugar, 1/2 tsp salt and several grinds of pepper, and mix gently. Place in oven for 10 minutes. Let cool for 5 minutes before serving. The perfect sweetness for our pork. I cannot express how good these potatoes were! For the Baby Pea and Spinach Side-Dish; you will need: 1/2 lb baby peas (Lisa used frozen), 5 scallions/green onions, sliced, including green parts, 6 cups fresh spinach leaves, 1/2 cup chicken broth, 2 tbs unsalted butter, sea-salt and freshly cracked black pepper to taste. 1 – Put pot on medium heat and add butter. 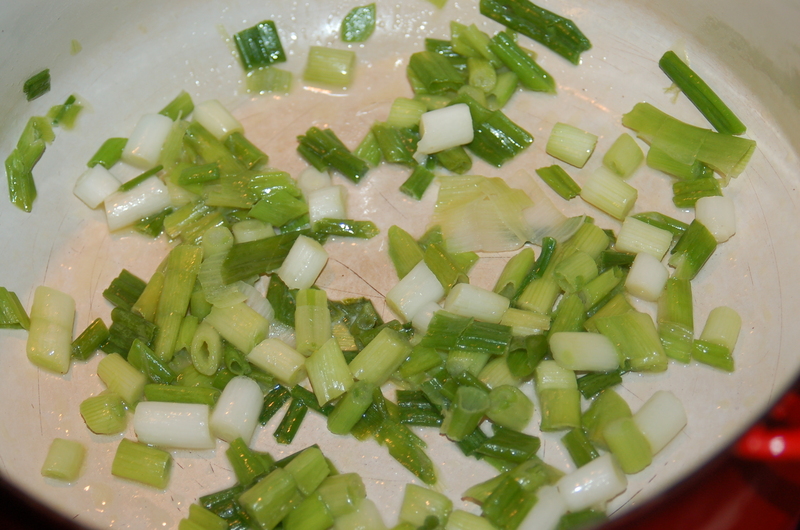 When it has melted, saute scallions for 5 minutes. 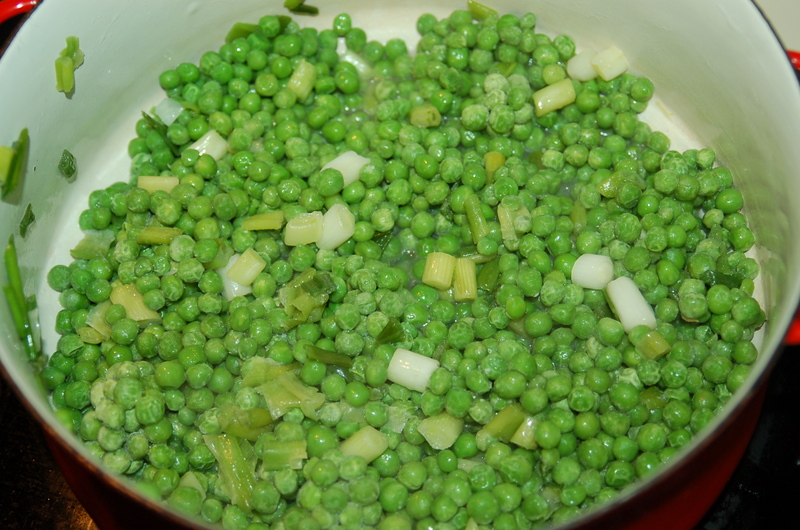 2 – Add frozen peas and wait for 2 minutes before adding broth. Bring to a simmer and cook for 3 minutes. 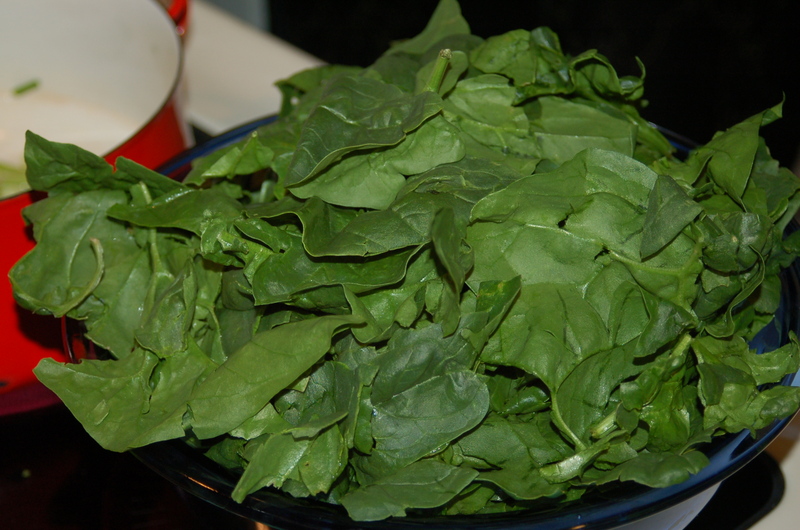 3 – Add spinach and let it wilt, (takes about 3 minutes to cook down). Add a sprinkle of sea-salt (Lisa used Maldon salt) and some freshly cracked pepper. The important thing about this meal is timing everything to be ready around the same time. So, marinate the meat first, next cook the potato dish, and lastly, grill the meat and cook the peas about a 1/2 hour before you want to eat. Just when you think it will be an ordinary, run-of-the-mill dinner, something like last night happens. It was very difficult to carry on a conversation during this meal as I was way more interested in my plate of food than the company! I have to first say that there is nothing I like better than making dinner for my family and friends. You name the day and I am willing to cook! That said, there is also something so freeing about being invited to dinner. Being a guest instead of the host is really fun, especially if you have a friend who asks you to dinner for the sole purpose of having a massive bonfire! 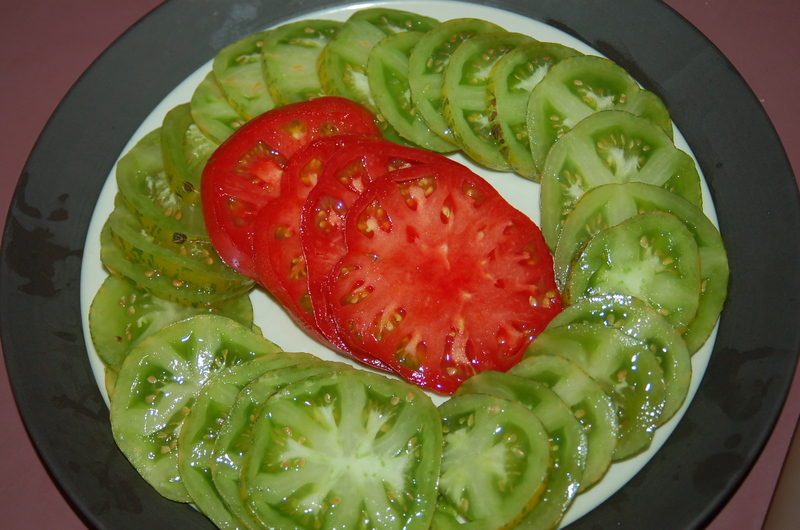 My contribution to dinner - beautiful heirloom tomatoes. My friend Tom loves a good blaze. 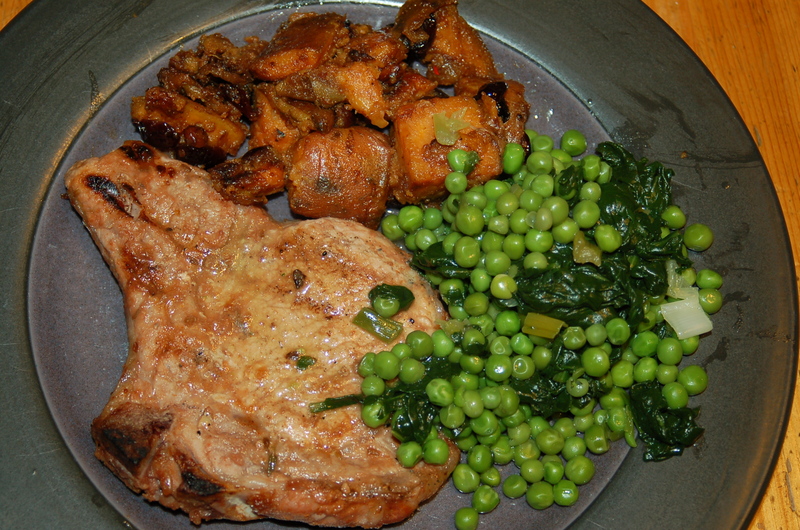 He also loves to cook, so, how could I turn down a mid-week dinner invitation, (even though it was a school night!). It was a get-together with loads of themes; going back to school party, meeting another of Tom’s daughters party, old friends back in town party, as well as, bonfire party. I looked forward to the evening all day long. I wondered what Tom was going to cook and I couldn’t wait to sit by the kitchen counter with a glass of wine. 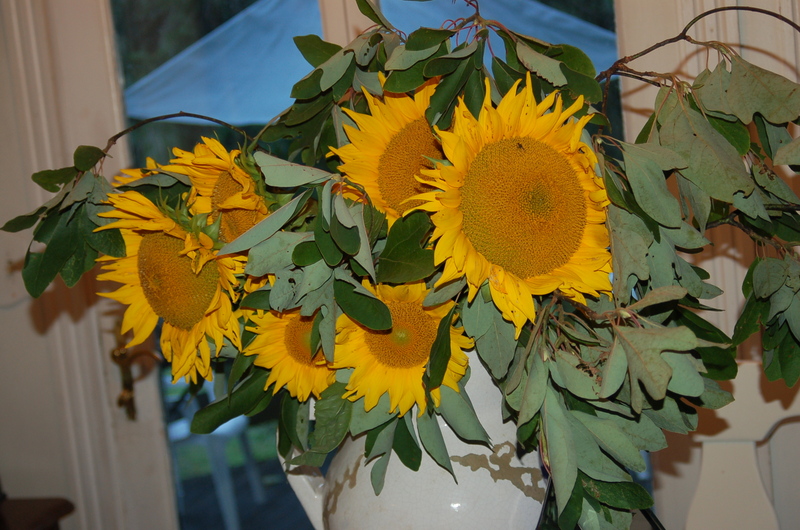 The first thing that struck me as I entered the kitchen area was the enormous vase of sunflowers sitting on the dining room table. Where do you get a vase that big??? They were sunny and breathtaking, and filled the room with a party atmosphere. I couldn’t believe it, but dinner was actually ready! 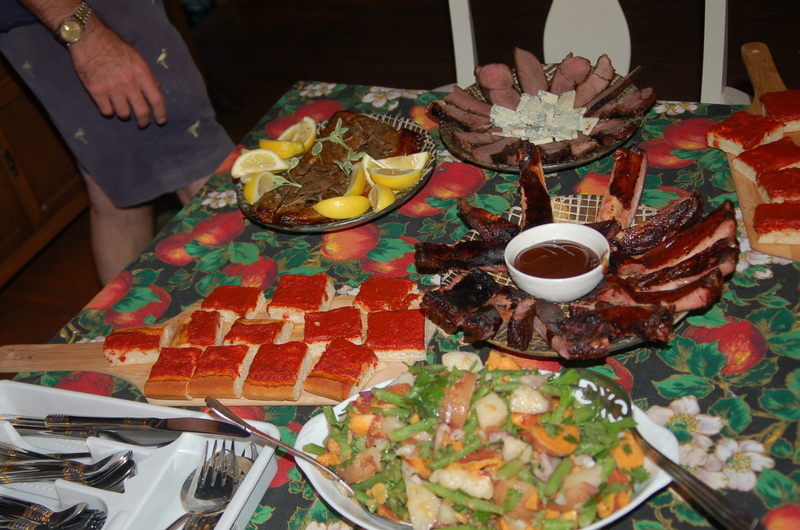 One whole end of the table was covered with all sorts of delectable dishes. Tom told me he had just found a smoker at a flea market (or maybe a garage sale – don’t remember? ), and he wanted to try it out. I couldn’t just buy a smoker and start using it immediately. I would stare at it for weeks or months before finally having the courage to put something into it. 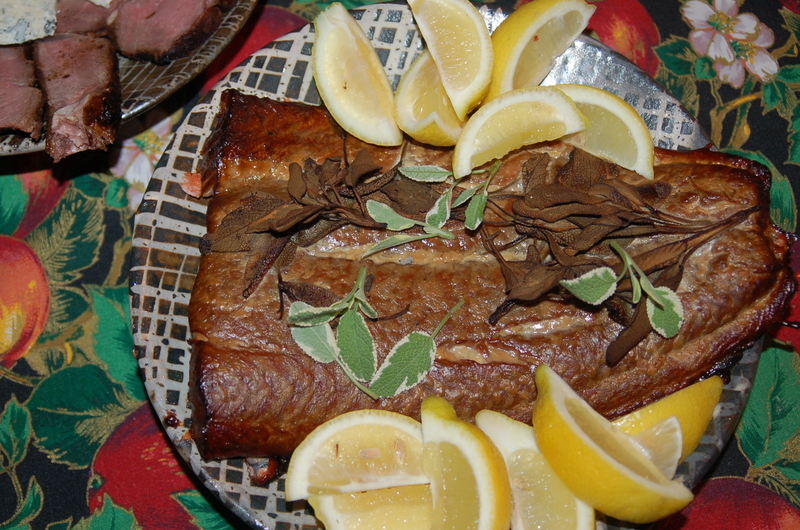 Not Tom, he smoked as much of the food he possibly could; the salmon, ribs and venison. 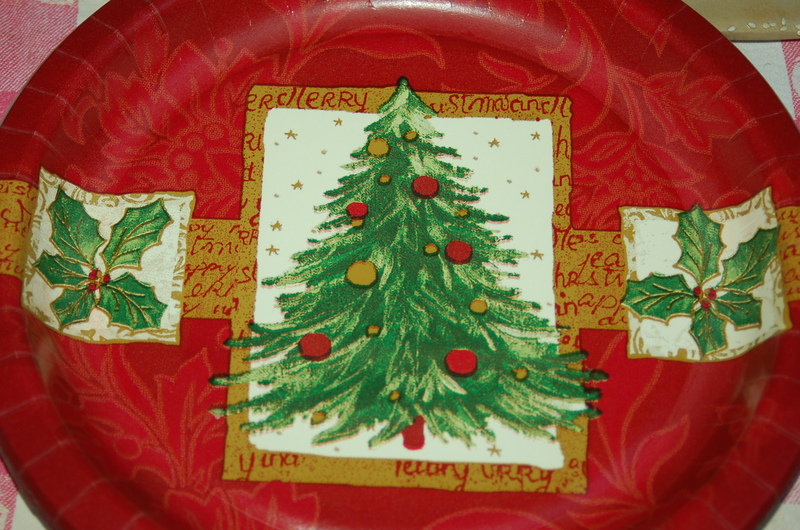 Plates were piled with every combination of food possible, and we got down to the business of eating. 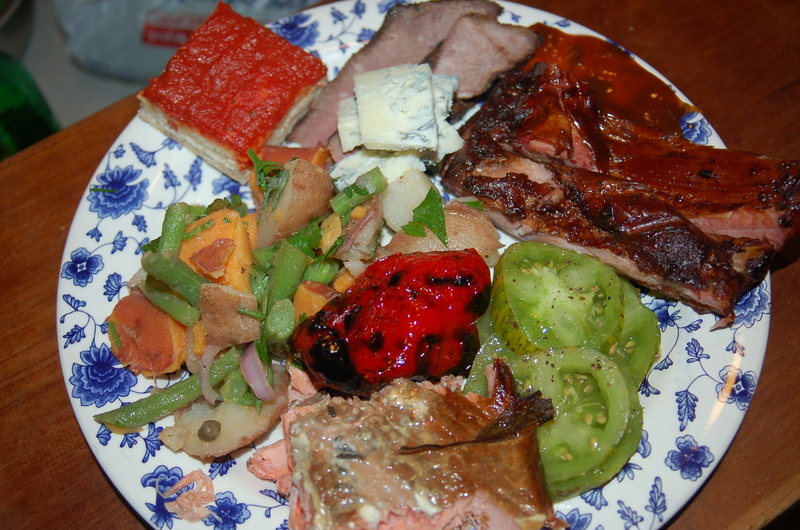 The salmon was my favorite thing, with the green bean-potato salad a close second. 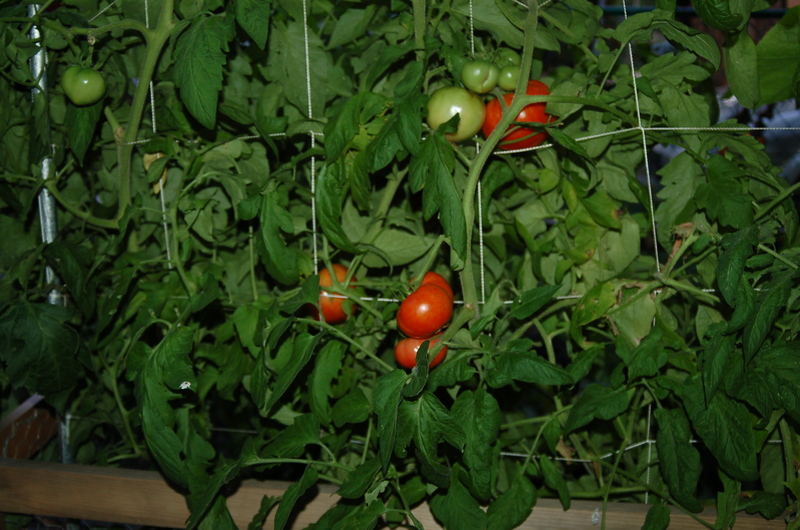 I also had a love affair with the tomatoes I brought. A little salt and a grind of pepper was all they needed to make them sing in my mouth. 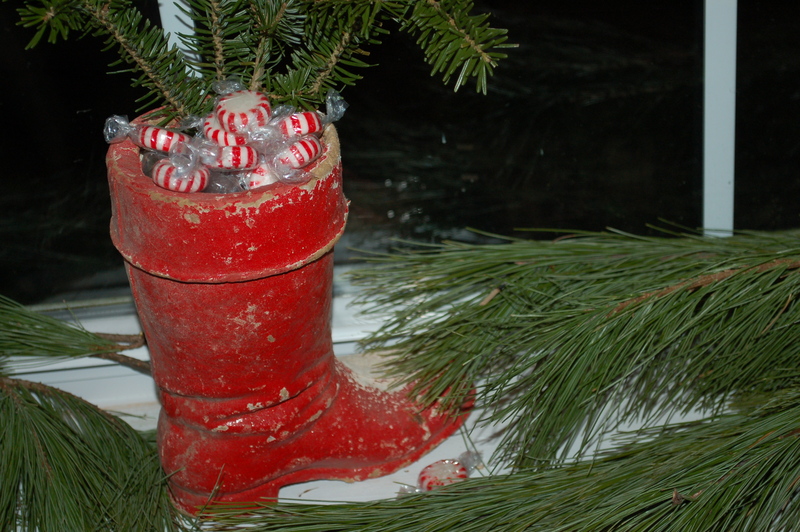 In the depths of winter I will dream about these tasty morsels. After dinner we gingerly made our way down some steps and through the back garden to the bonfire site in the dark. It was indeed something to behold. 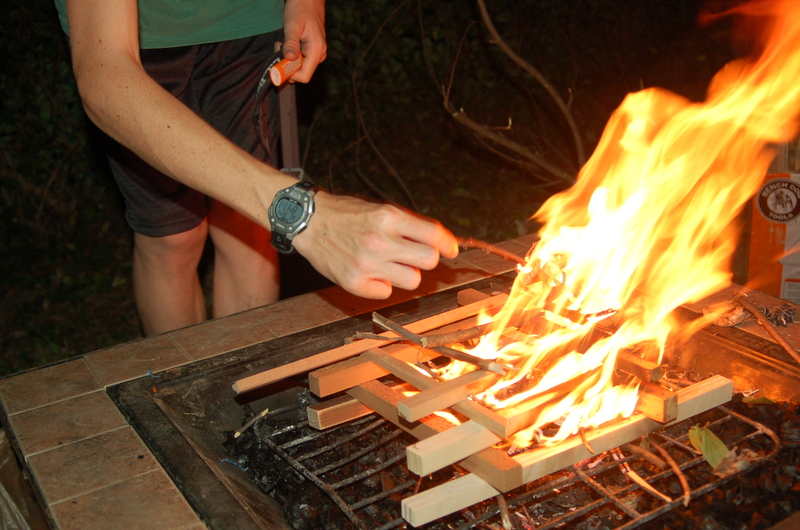 Imagining a nice neat pile of sticks happily burning would be an error. It looked like some mad man had decided to burn the contents of his house. In other words; a spectacular torrent of a fire. We had to sit a safe distance away for fear of flying shimmering embers and a snow storm of sparks. We settled in after initial misgivings, and fearful for the safety of our children (I tend to worry!) and had the best camp blaze ever. The night was clear and every star was shining just for us. I’ll be back. 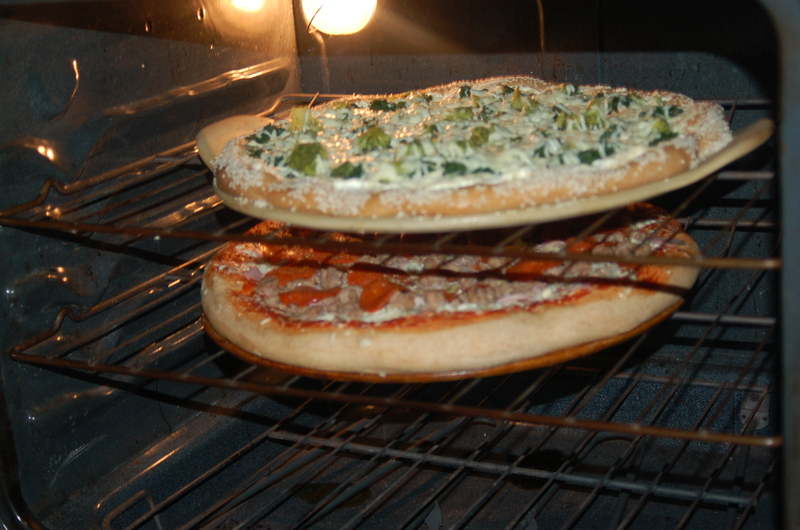 I am finally getting a chance to talk about another kind of pizza that I like, and think is a handy, clever, and a delicious way to make home-made pizza in less than half the normal time. Why is home-made pizza disappointing sometimes (speaking for several of my failed attempts anyway)? Well, I have tasted so many great pizzas from places that could toss the dough in the air in their sleep, resulting in wonderful dough. Not to mention, great ovens in which to cook them. Simply put, it is hard to replicate what professionals in good kitchens can do. Kathleen's lovely, squeezed-in garden, with massive vine of tomatoes. After years of experimenting with different flours, and various yeast concoctions, not to mention pizza stone versus no pizza stone, I have still not found a dough that fits me and my oven perfectly. 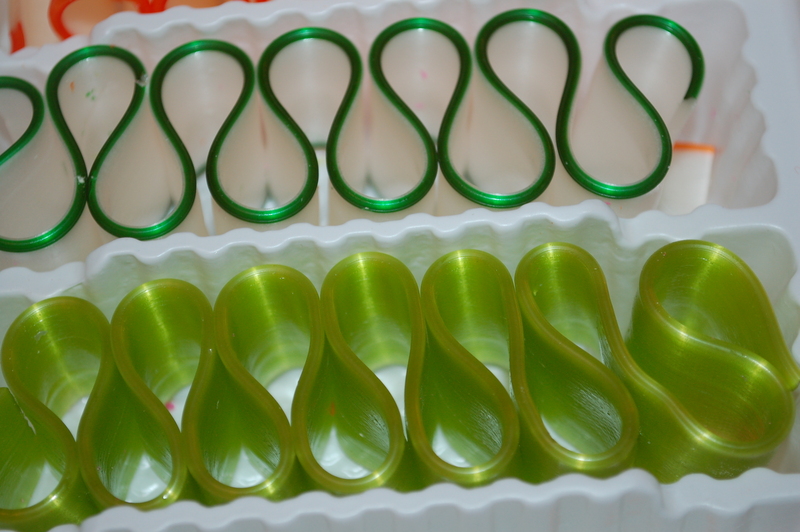 It is also a fiddley thing to make. 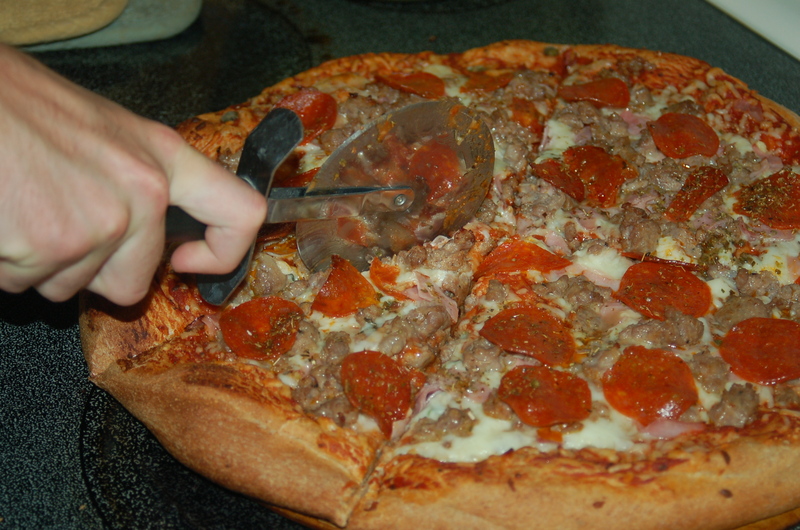 You have to chop no end of toppings, grate lots of cheese and make a pizza sauce. Then, you have to heat up your kitchen to a sweltering 500 degrees, and hover by the oven to check and recheck cooking progress. Did I mention getting the dough from the paddle to the pizza stone without losing half of the toppings to the oven floor? Why bother, why go to all this trouble when a phone call can deliver a perfectly good pizza to your door in a half hour or less? The fact is, I love making pizza, even if it does not measure up sometimes. I love watching the dough rise, and the smell of the bubbly yeast. 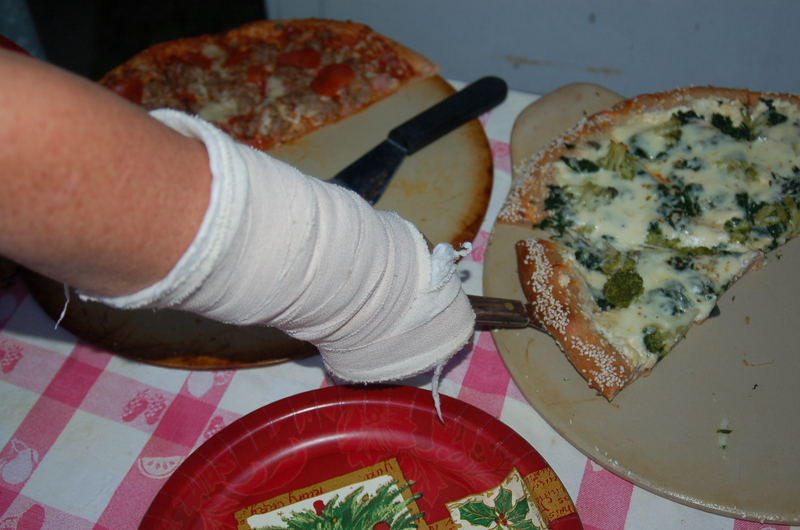 I love trying my hand at stretching the dough over my knuckles, and tossing it in the air in the hopes of catching it, and, I love it when I do! 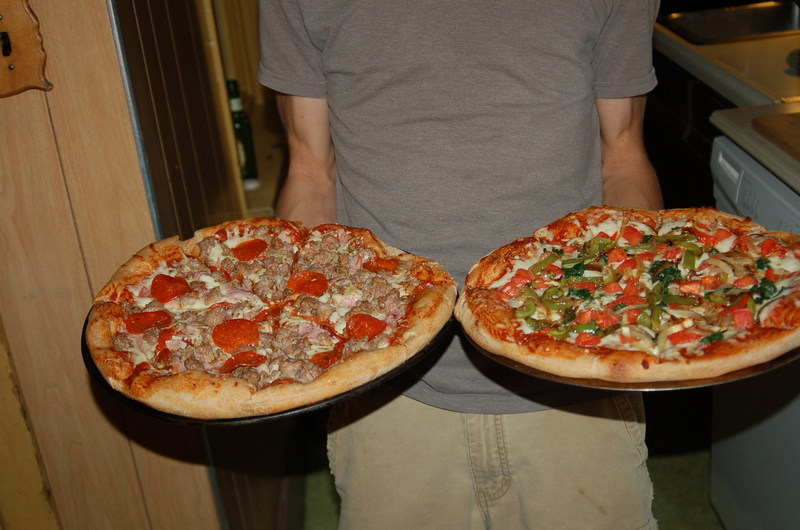 What makes it taste good to me and my family, and anyone else who has tried my pizza is the effort that goes into it. This is something you make for people you love, and for people who, upon seeing that you have actually made them pizza, know you love them. This is the only reasonable explanation to go to all that trouble in my book. 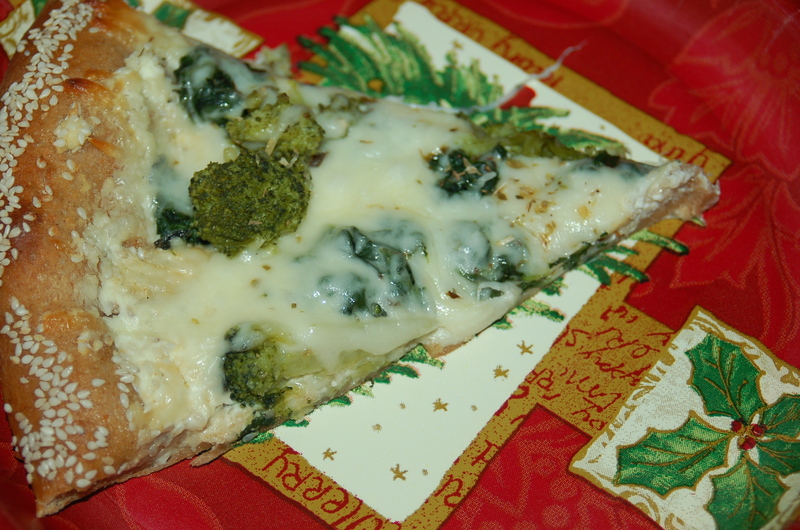 This blog post is apparently all about love and pizza, so let me proceed. We have both been friends with the same family for a number of years and they are leaving us for bigger and better things. They sold their house and went through both the physically and mentally gruelling task of packing their entire lives into a truck (and all that it entailed) and today, as I write, are on their way to another country! For the past few weeks they have been demented crazy people, and, each time I talked to them about having one last get-together it was too much for them to think about. Kathleen to the rescue! She said everyone should come to her house for pizza, (everyone being 4 families in all or part, making a total of 13). 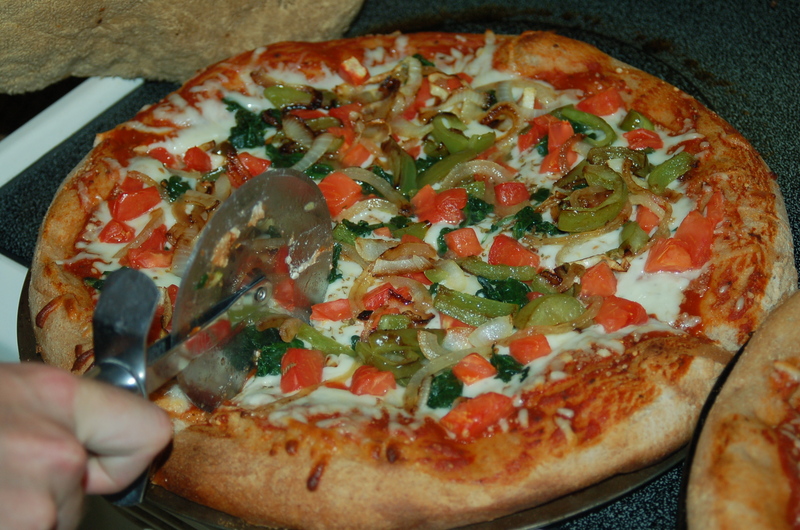 And, the chock-full of veggies pizza! You might call this cheating, but I call it using a little ingenuity, when I tell you that in times like this Kathleen opts for loaves of frozen bread dough from the supermarket, rather than making her own (which she does too!) pizza crust. She discovered it while she was going through her trial-and-error-pizza-dough phase. I would simply never have thought of it since, in today’s supermarkets, you can buy actual frozen pizza dough. I first had it a few years earlier when I was invited to her back yard for drinks, chat and pizza. When I tasted it I was mad with jealously. She had successfully made a pizza whose crust was spot on. I was not disappointed when she told me what she had done, rather, I was impressed with her wherewithal! Last night she used the same technique, as in, she bought the dough, (which of course still had to be defrosted, left to rise and shape), but, she choose to use a whole wheat bread dough for the healthier option. The part that was valiant, and love-driven, was the fact that she had just had carpal tunnel surgery a few days earlier and was strictly instructed not to lift anything! Now, here she was, making 4 giant pizza, shaping and rolling dough, chopping veggies, grating cheese, all very wrist involved actions. We spend the evening in her garden around a table with the only light coming from Tiki torches, which her son had to keep relighting. The pizzas came in so many varieties, I had to try them all. The peppers and fresh tomatoes came from her garden, and she used my oregano in my favorite one of the evening, the veggie pizza. I have to be honest and admit that I like the white bread dough version better as it has a more genuine pizza taste. I am very bad at choosing what is healthy over what I love. 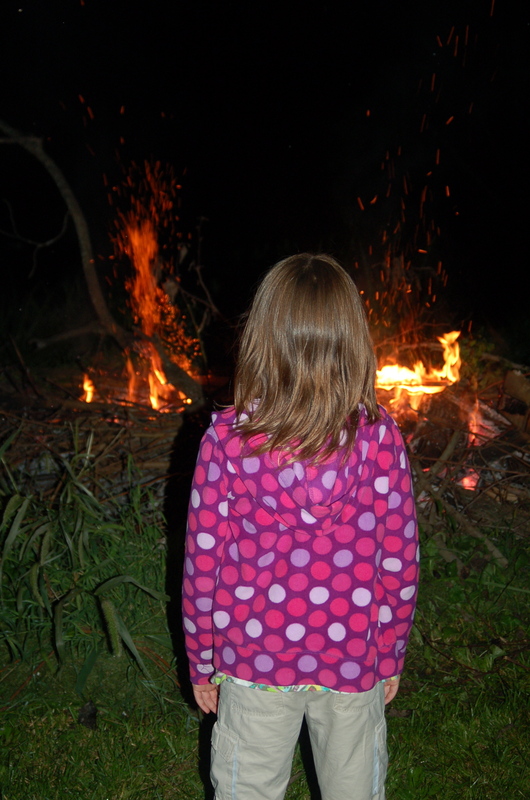 The kids ate pizza and played madly before finally settling around a fire, roasting marshmallows (as well as stealing tomatoes to see if they would explode!). I went through moments of feeling very lucky to be sitting where I was, in a tiny backyard dubbed, “the Italian Garden” eating pizza, and drinking wine, to feeling sad about losing friends. Well, that was last night, and today, I am looking forward to having a new place to visit, and long phone conversations. I read somewhere recently that food tastes better with friends. I would like to add that food makes people better friends. It’s so obvious.